The Microsoft Lumia 650 which was expected to be announced on February 1 i.e., Monday, was not announced, but now, the press shot of the Lumia 650 has surfaced online. The Lumia 650 was FCC approved back in January. 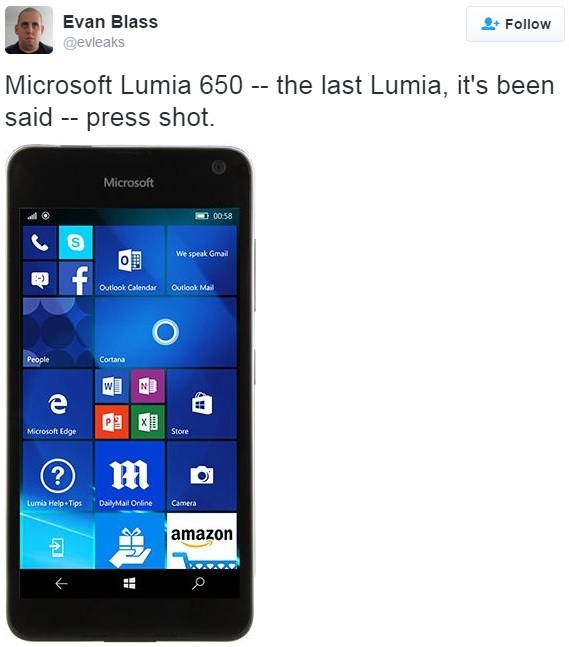 Famous and reliable leakster Evan Blass has shared the press shot of the Microsoft Lumia 650 on Twitter. 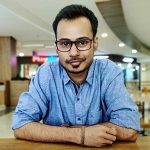 His tweet read “Microsoft Lumia 650 — the last Lumia, it’s been said — press shot.” The Lumia 650 is rumored to be the last Lumia phone after which Microsoft is rumored to be focusing on Surface phone. This tweet by Evan Blass confirms the rumor to some extent.